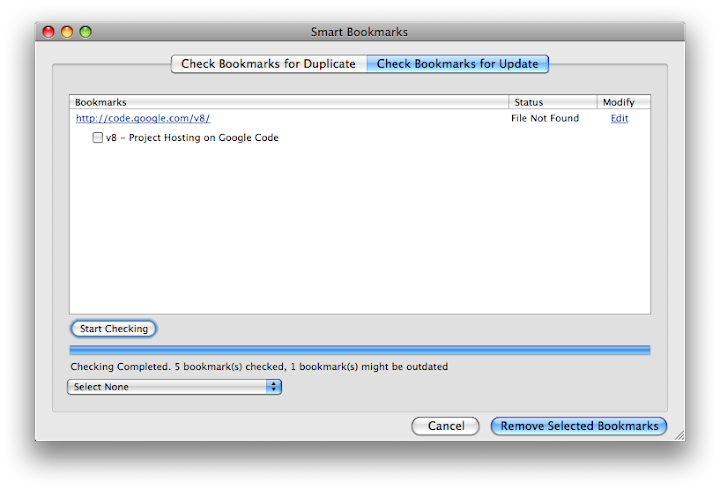 We have released Incredible Bookmarks 0.7! It is in sandbox right now and will go public soon. In this version we added the ability to toggle each IB toolbar individually and save their state after browser restart. We also gave IB toolbars more informative names. 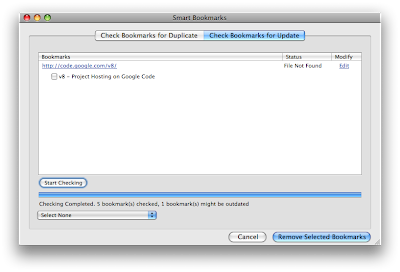 In the "Check Links" dialog, after finding out which bookmarks are broken, you can now immediately modify the bookmark link and re-check. We are a small team of developers that creates big and exciting HTML5 WebApps and Browser-wares. ©2008 Visibo Limited. Privacy. Powered by Blogger.